Everybody loves it when weekends arrive. There are plenty of hopes for having a great weekend. All of us want to have a vibrant, joyful and relaxing weekend. But as it happens normally with the plans for most of us, the weekends that arrive with great promises leave us void and with the feeling as if the weekends never arrived in the first place. The reason for dull weekends in most cases is that we don’t find fun ways to spend them. We don’t have a clue about the possibilities around the corner. Weekend leaves us with empty feeling. But that could change considerably with the 15 local happening apps given below that open you the door full of possibilities. With them, you are but a push of button away from a great weekend. ‘Circle’ proclaims itself as being able to find best things to do in town. It suggests free events, concerts, meetups, hiking and other budget-friendly things happening nearby a place. One does not need to login and can start immediately entering into the app. The app can be downloaded for free from Play Store as well as iTunes Store. Pros: Login is not required and it shows fun things to do in an area along with the starting time and address. Cons: The most recent version of the app has removed the option to select the events according to the mood. With Eventbrite, you can discover popular local events, get recommendations for events and also see the events to which friends are going. Its main purpose is to create, promote and sell tickets for events. Eventbrite can be used both as an event-goer and an organizer. As a goer, one can discover popular and recommended events nearby while the organizer can create events, monitor attendees and also check out sales. It’s available for free for both iOS and Android. Pros: Anyone can use it to promote their events and sell tickets. Payment can be done virtually and QR codes can be used as tickets as well. So there’s no need to print tickets with this. Cons: The distance is very limited as the app can only discover events within 100 miles. Like a Local is meant to help travelers find fun spots to hang out in a place, just as a local would do, from restaurants and bars to art galleries and holiday parks. 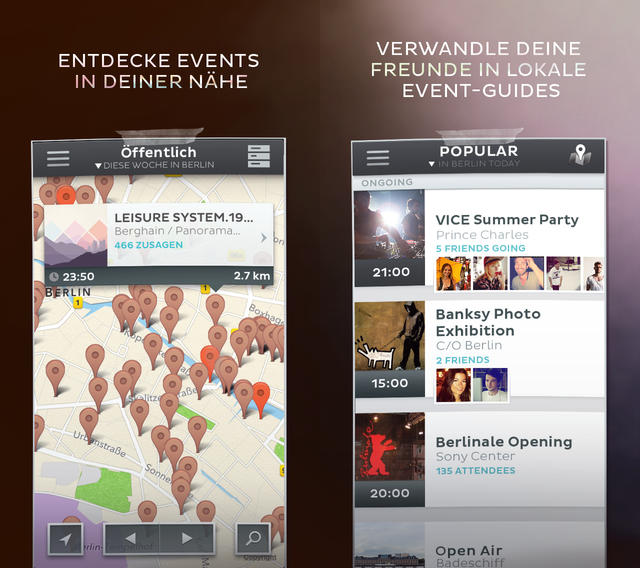 The app works completely offline and features cities like Munich, Brussels, Amsterdam, Stockholm, Copenhagen and Vienna. Both Android and iOS store versions of the app can be downloaded for free. However, one has to pay additional charges to buy guide for every city. 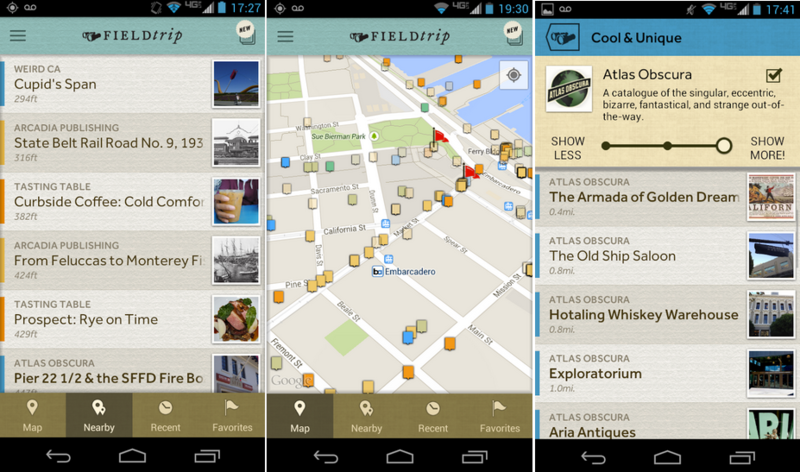 Pros: The app is assembled by local writers and as such, is the best way to learn the places not to miss in a city. Cons: Extra charges are required to buy city guides. There have been several complaints of bugs in the app. And, the places are limited as well. Plancast is a great tool to decide the events one is going to. It syncs a person’s Facebook and Twitter accounts and offers the list of events the friends and those they follow are going to. Their website lists the events according to their locations as well. The app can be downloaded for free in the Apple Store. Pros: The app is easy to use and searches throughout the network. The events are displayed in chronological order as well. Cons: The app is not available for Android. 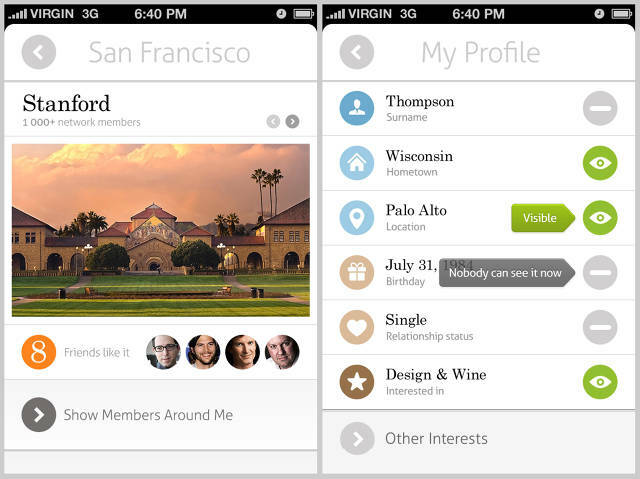 There is lack of availability to search nearby events. It’s rather limited to our social network. 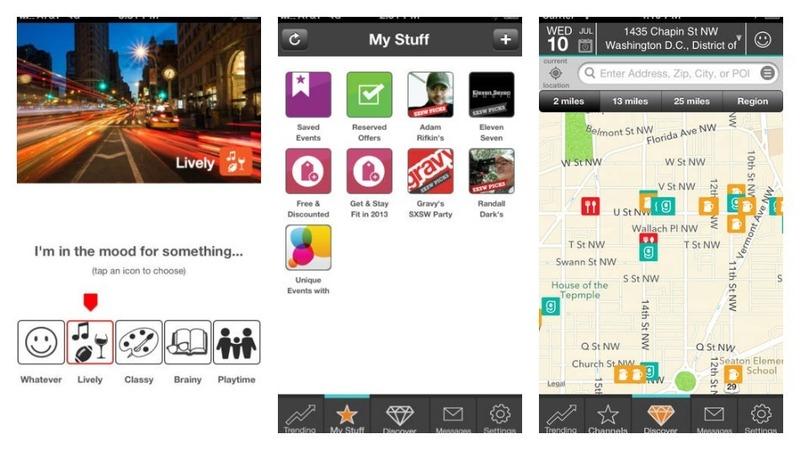 Goby is a great way to find events-based fun. It provides information on new and interesting things happening in an area. Facebook likes can be synced and interests can be input manually too. The app provides with automatic notifications on upcoming events and we can search events based on their dates, localities and types as well. Pros: The user interface is great and it doesn’t infuriate with advertising banners. Cons: The alarm is not very loud. The app currently finds things to do only in United States. Now is the app to use when you’re looking for something to do now. 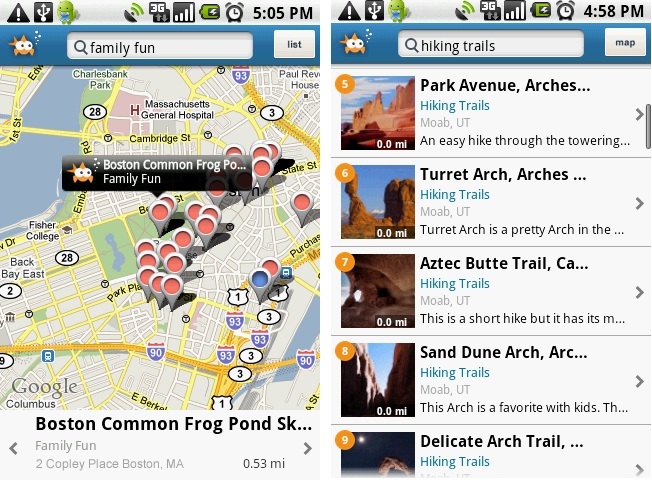 It pulls real-time photos and videos from Instagram, Facebook, Vine and Google+ to create a map display with drop pins indicating trending location alongside the photos and videos. One can simply click the image that interests him/her and know the exact location where the event is happening. It can be downloaded at Apple Store for free. Pros: The app constantly updates itself every time we check in. So the experience is really good. Cons: The app is useful only in big cities. It doesn’t show much of the things to do in small cities. Sometimes, due to delay in social updates, the event might be already over when we reach the place. 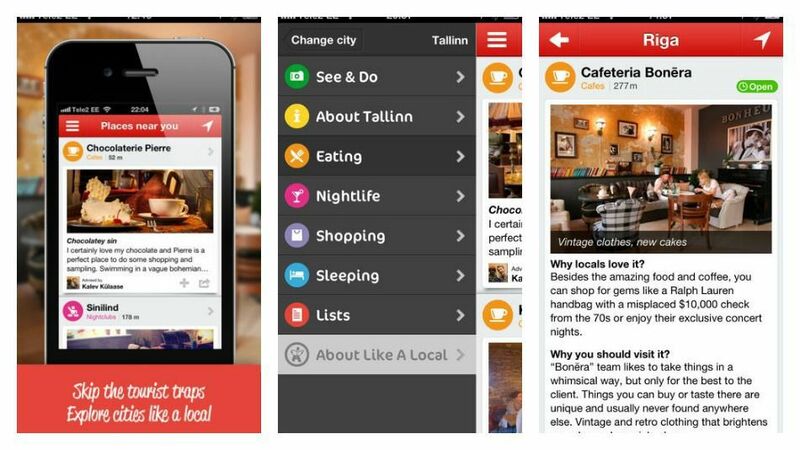 Thrillist is not actually an event discovery and recommendation application however it can be used that way also. It started originally as a website that provides entertaining description of the newest venues of a city. The apps for Android and iOS are the readers for the website. Thrillist is really rich in terms of its content. It is available for free on both the platforms. Pros: The guide is very authentic as the information is created by the Thrillist writers and editors themselves. Cons: The information carried on to the apps is significantly less than that contained in the main website. Time to Enjoy is a really cool tool which provides us fun things to do at the exact time we can actually do them. This taps into your smartphone’s calendar and shows events in the current city you’re living in, but only during the time you’re free. There’s no need to be overwhelmed with long lists of events, only to realize you don’t have time for them at all. It’s available for free download on iOS. Pros: Fun things to do at exact times of our availability can be discovered. Cons: There’s some issue with personalization. The suggestions cannot be personalized according to personal interests. LocalMind is a unique service which uses location-based social media such as Foursquare to answer queries about a place. With this app, you can ask people who have checked into a place of your interest any question such as price, functionality of Wi-Fi, scenery and just about everything. The questions will be answered by the people and you’ll receive them instantly on your device. It works in any city. Both Android and iOS apps are free. Pros: The queries about the locations will be answered in real-time. Cons: The Android version is significantly below par than the iOS version. With Gravy, you can find the best events to do in your area. The suggestions are based on your mood. The app suggests events according to your locations. Whenever you’re in a place, the app populates all the events based on your mood, which are available within walking distance and even wider radius, if you choose it to be that way. The app is available for free on both Android and iOS. Pros: The app is easy to use and since it uses your location, you can travel and still use it. Cons: Users have reported several bugs with the app crashing suddenly. The app also consumes a lot of battery. Eventsions finds you events in your area based on the interests of you and your friends. The events then can be added to your calendar. You can also buy tickets for the event and share information regarding the event with friends living in your destination. The events are categorized into more than 30 categories and so, there’s hardly any trouble finding the event that particularly interests you. Eventsions is available for free for iOS users. Pros: You can even give an app event up or thumbs down, based on whether you liked it or not. Cons: The events are currently limited to US and Canada only. Field Trip is the product of tech-mogul Google. As such, we expect a lot from it, like we do with their every product. However, it doesn’t leave you awestruck as it used to do at other times. But still, it’s pretty cool and efficient app. It runs in the background of our phone and uses information form publications like Thrillist, TimeOut, Flavorpill and SongKick. The app is for free and works on iOS, Android and even Google Glass. Pros: The app notifies you when you are in the proximity of something that might interest you. Cons: In spite of being a Google product, it comes with too many bugs. The guide is also not very good and users find it very difficult to use at first. 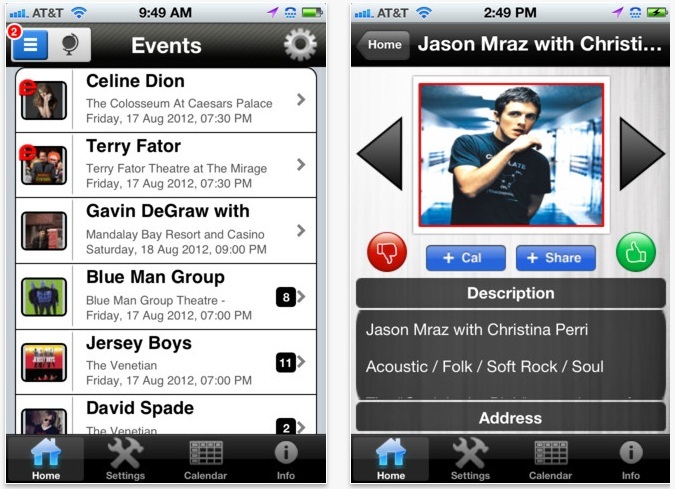 Eventful can be used to find local events occurring at theaters and clubs in your town. It eliminates the need for traditional searching for events via newspaper, in the place where you live. It also provides us notifications based on our interests. Both Android and iOS versions of this app are available for free. Pros: It helps you easily find everything happening in entertainment world in your area. Cons: The events are not listed in chronological order. Specific date wise searching is available on their website but not in the app. 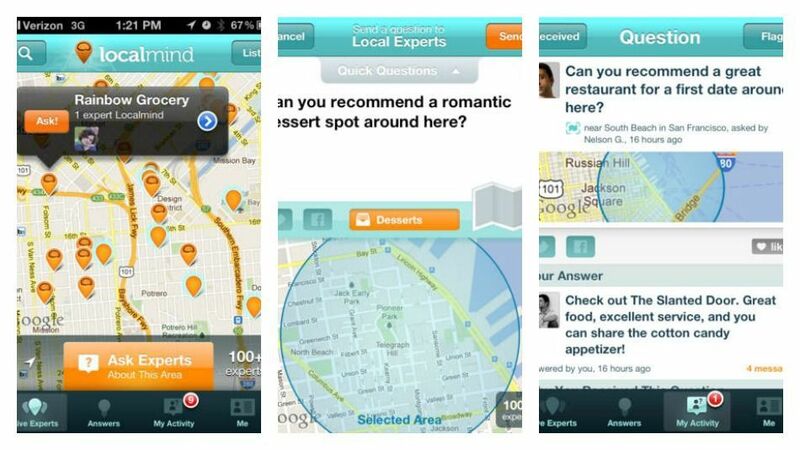 Spotsetter is another must-have app for travelers. The app signs into our social media accounts and discovers whatever our friends have said about bars, restaurants, concert venues and other fun places. The opinion they’ve shared on any platform is considered by the app. This easy-to-se and elegant looking app helps to decide what to do based on the suggestion of our friends. Only iOS version is available and can be downloaded for free. 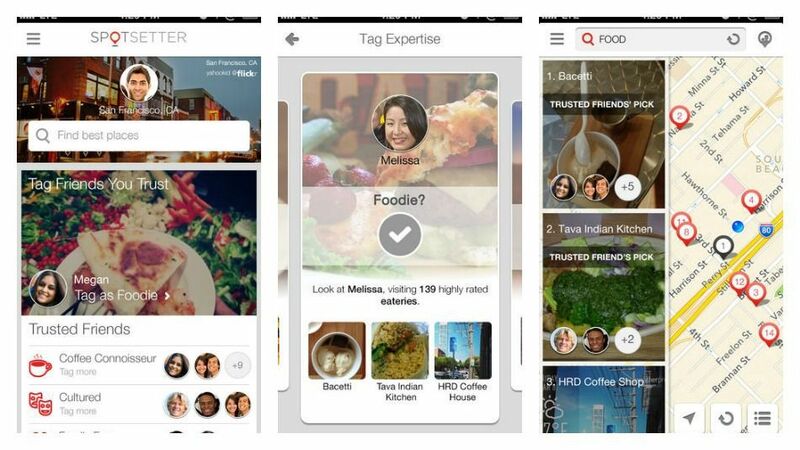 Pros: The app allows us to tag certain friends as experts about specific topics and places. Cons: There’s a bit of trouble while using the app at the beginning. It takes more than an hour to launch the app before recommendations are prepared. Vamos is essentially the event section of Facebook. It collects and arranges Facebook event data describing the events your friends will be attending. The app grabs details of the event including photos, time and price, and also shows which one of your friends are attending the event. This one also comes only for iPhone users, as of now and can be downloaded for free. Pros: The app is visually attractive and the format is very much easy-to-use. Cons: The entries are rather limited.